Neutral does not equal passive, at least as far as Mexico’s position on confronting the grave political crisis in Venezuela is concerned. On Jan. 30 the governments of Mexico and Uruguay called for an international summit to be convened in Uruguay’s capital of Montevideo on Feb. 7. Its purpose? “Laying down the basis to establish a new mechanism for dialogue that, with the inclusion of all Venezuelan forces, helps return stability and peace to the country,” according to a joint statement. The call for a summit is the latest twist in a crisis that continues to divide the world after Venezuela’s embattled socialist president, Nicolás Maduro, was sworn in for a second term on Jan. 10 amid accusations of broad electoral fraud. His administration is also being held responsible for human rights violations leading up to and after the elections and economic mismanagement that has caused millions to flee Venezuela. Citing authority to do so from the nation’s constitution, Juan Guaidó, 35, who heads the opposition-led National Assembly, declared himself interim president on Jan. 23. He said he would lead Venezuela until new elections could be held. He was immediately recognized by the United States and Canada and a majority of Latin American countries, while President Maduro enjoys support from China and Russia. Mexico's call for a summit is the latest twist in a crisis that continues to divide the world after Venezuela’s embattled socialist president, Nicolás Maduro, was sworn in for a second term. Mexico’s non-interventionist stance has been clear ever since the installation of its new government, headed by President Andrés Manuel López Obrador, on Dec. 1. Mexican officials announced on Jan. 23 that Mexico would not support Mr. Guaidó’s claim and would continue to recognize Mr. Maduro’s presidency, although not without expressing grave concerns over the state of human rights in the South American country. Said neutrality is echoed by the Mexican Catholic Church, which traditionally refrains from political expressions in a country with one of the strictest separations of church and state in the world. In a statement released on Jan. 30, the Mexican Episcopal Conference expressed its concern over the crisis but did not offer a political solution to escape it. “We know of the situation, dramatic and extremely grave, [in which Venezuela’s] people live, of the deterioration of its rights and quality of life, plunged into growing poverty and the feeling of having no one to turn to,” the statement said. Many human rights activists and opponents of the Maduro regime were disappointed by Mexico’s stance. 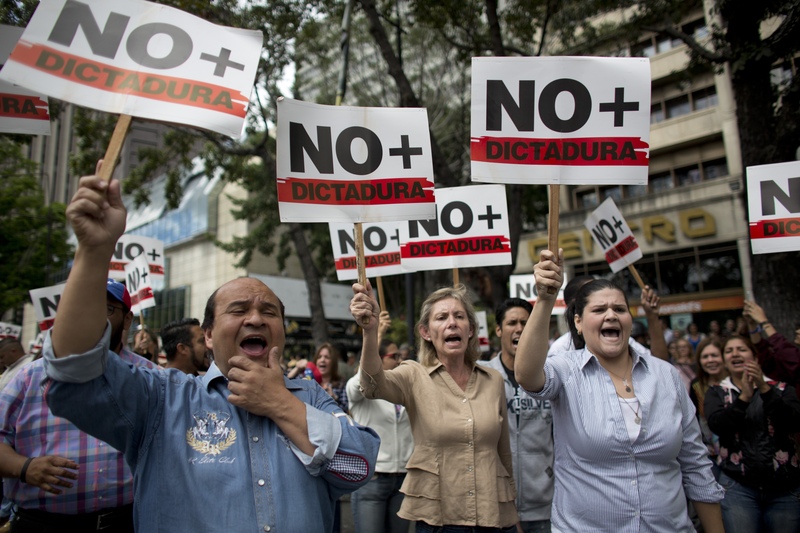 Some feel the second largest Latin American country is being needlessly timid in the face of the disorder in Venezuela. Others believe Mexico’s non-interventionism reveals a sympathetic attitude for Mr. Maduro harbored by the leftist López Obrador government. Observers in Mexico say that non-interventionism is not only shrewdly pragmatic but also consistent with Mexico’s tradition of neutrality on the international stage. Many others, however, disagree. Both supporters of Mr. López Obrador and independent observers in Mexico say that non-interventionism is not only shrewdly pragmatic but also consistent with Mexico’s tradition of neutrality on the international stage. Some supporters of Mr. López Obrador have mentioned the so-called Estrada Doctrine as the basis for Mexico’s neutrality. The doctrine, named after then-foreign-secretary Genaro Estrada and adopted in the early 1930s, dominated Mexican foreign policy for most of the 20th century. It was based on the principles of respecting sovereignty, non-interventionism and peaceful resolutions of conflicts through dialogue. Doctrine or no doctrine, it remains to be seen whether Mexico and Uruguay’s neutrality will provide a solution for the crisis. Although Mr. Maduro expressed willingness to negotiate with the opposition, previous attempts at such a dialogue in Venezuela have consistently failed. The evils of Socialism? Where is discussion of Cuba, Russia, Iran and Turkey? Cuba, Iran and Russia have elite military units in Venezuela protecting Maduro. He won’t go easily. Besides he is not real power. El AissamI makes most of the important decisions. Mexico's Estrada Doctrine is no longer relevant to a changed international system. Yet, Mexico's adherence to it indicates that it does not like to be assertive in international affairs. Moreover, even if it changed its posture and recognized the legitimate president, Guaido, it's not clear that it would make any difference to Maduro's dictatorship. If you want to understand why the economy of Mexico is screwed up, just look at their vapid response. Mexico is condemned to second class in the third rank status by their lack of support for respect of the dignity of the individual. Content with feudalism? I strongly dissent with the writer's opinions of the article and the readers' comments. The Estrada doctrine is the result of the multiple agressions not only of the U.S. but of Spain, France and Great Britain in the nineteenth and twentieth centuries. In the present situation of Venezuela I believe that applying the Estrada doctrine is the only rational and moral way that Mexico has to try to impede what could become a bloody civil or international war. Blessed are the peace makers. Mexico is trying to nudge the Venezuelan and international polarized agents to cool down and talk to make peace. The Washington Post had two articles, both on February 9, 2019, which recommended compelling reasons to oppose the authoritarian rule of Maduro. One former leading military leader of Venezuela called on the Venezuelan military to join the opposition to Maduro's government, for several important reasons. First, because his reelection is widely believed to be illegitimate. Further, the government he leads is corrupt, and has caused hyperinflation, widespread hunger and lack of decent medical care. Further, large numbers of the country's people have fled to Colombia to escape poverty and violence. Finally, the Post reported that. the military has the ability to permit humanitarian aid from our nation to the many people in need in Venezuela. This article also appeared in print, under the headline "As Venezuela crisis continues, Mexico discourages outside intervention," in the February 18, 2019 issue.